Dr. Terence Flanagan graduated from McGill University in 1982 and has been offering patient oriented comprehensive family dentistry ever since. 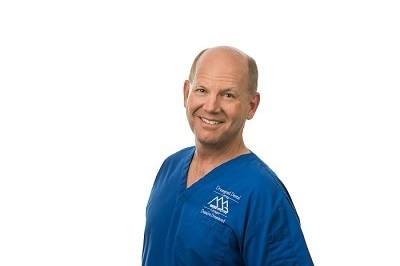 He has a particular interest in cosmetic and comprehensive dentistry and is a member of the Canadian Academy for Esthetic Dentistry as well as the Canadian Dental Association. Dr. Flanagan is a part time faculty instructor at the McGill Dental School. He takes great pride in taking care of his patients with many of them having been with him for many years. He enjoys interacting with his patients over time and, along with the great team at Drummond Dental Group, helping them maintain optimal dental health. Dr. Terence Flanagan est instructeur clinique à l'Université McGill. Il tire une grande fierté du travail bien fait envers ses patients, beaucoup d'entre eux qu'il traite depuis longtemps. La relation entre patient et dentiste qui se développe avec les années lui apporte un sentiment de satisfaction. Travailler avec l'équipe du Groupe Dentaire Drummond lui offre la possibilité de fournir un service optimal à ses patients.